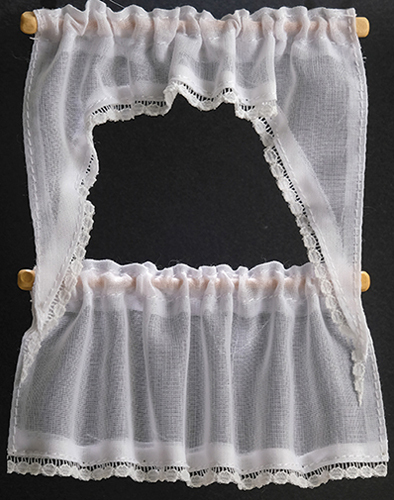 White Demi Cape Curtains by Barbara O'Brien fit a standard single window in a 1" (one inch) scale dollhouse. This miniature window dressing is made in the USA and includes a rod and finial. For easy installation (and removal), apply a generous amount of tacky wax to the finials and press onto the window frame or adjacent wall space.